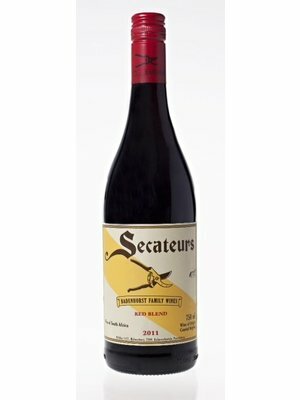 AA Badenhorst Secateurs Red 2014 - eWine-Your partner for good wines! Secateurs – shape our bushvines during the winter pruning and are used to pick the ripe grapes in summer. Our family has, for the last three generations, nurtured our vines so that they can produce fruit of integrity. 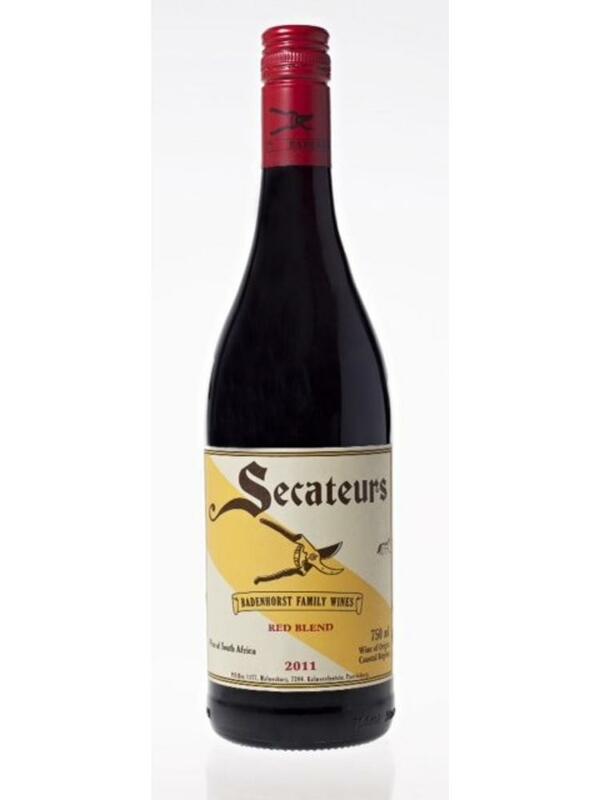 This is the 4th vintage of Secateurs Red blend bottled under the Badenhorst Family Wines. We are very happy with the quality of this wine and expect it to develop wonderfully over the next couple of years. The heafty Cinsault component will ensure excellent ageing and enough suppleness for drinking young. As you know most of the great old wines of the Cape had a good dollop of Cinsault in them – called Hermitake in those days! Barrel maturation The blended wine was left on its gross lees in casks, foudres and concrete tanks for 12 months before being bottled. Before bottling the wine was lightly filtered but not fined.